PH-D Lounge is a Penthouse Lounge located on Manhattan’s West Side. 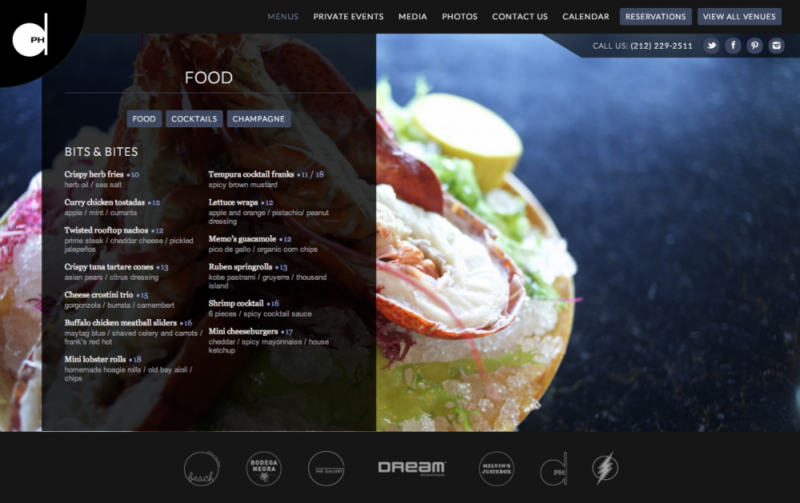 Features of the website include the WordPress CMS, an events calendar, press listings, menus, and various contact forms. In addition, as a member of Dream Downtown and the well-known TAO Group, it was important to make sure that it incorporated links to many of the other venues. A dedicated parallax page features the Dream Venues with more information.